Product #16168 | SKU 1440-510-000 | 0.0 (no ratings yet) Thanks for your rating! 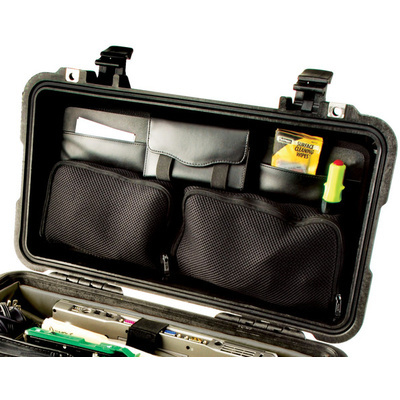 Lid Organizer for the Pelican 1440 Top Loader Case - Made of waterproof Ballistic Nylon. The Pelican 1449 Lid organizer is designed specifically for the Pelican 1440 or 1447 case. It installs easily with the included Touch Fastener strips. It is made of Ballistic Nylon and features pockets in various sizes to protect and keep your gear organized. Large pockets with nylon zippers. Includes 6 easy to install screws into pre-drilled holes.